Of the five veterans who left Manchester City when their contracts ran out in June, four had few issues finding a new home. Willy Caballero joined champions Chelsea, Pablo Zabaleta headed south to West Ham, Gaël Clichy moved to Turkey with İstanbul Başakşehir, and Jesús Navas saw out his ambition of returning home to Sevilla. One player who was still without a club when the summer window shut was Bacary Sagna, a player who still seemed to have plenty to give at the age of 34. Months later, and the French international is still unemployed, having rejected a number of offers, particularly from Turkey and the Premier League. According to French newspaper L’Equipe however, Sagna could finally be on the move in the coming days or weeks. With his options dwindling, Bacary has received new offers from Turkish Süper Lig clubs in the last few days. 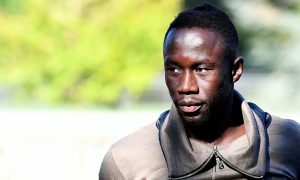 Sivasspor and Bursaspor have shown concrete interest, but it is Turkish champions Beşiktaş who are about to make Sagna an offer that could finally win him over. A move to Şenol Güneş’ side would see Sagna play in the same team as former Man City striker Álvaro Negredo, while also linking up with Real Madrid legend Pepe in the defence. One Premier League team, whose name has not yet filtered out, could also make a play for Sagna, L’Equipe reports, but the veteran should soon be playing football again having not kicked a ball professionally since August. Sagna has been keeping himself in shape though, maintaining his professionalism while waiting for the right club to continue his career at.